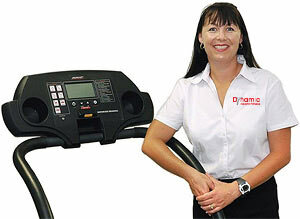 Dynamic Insight Fitness has been established since 1993 as a wholesale distributor of high quality cardio-vascular and strength equipment range of products. International brands such as Johnson, Horizon, Punch, Force, Nike. Since the beginning, 20 years ago, we have expanded to now include a totally Australian owned and operated Retail group, with over 70 years experience, in NSW, Victoria and Tasmania. In the near future we will be opening in other states around Australia. Dynamic Insight Fitness is the official Accreditated Government supplier to NSW Fire Brigades, having supplied over 100 Fire Station Statewide. We also supply Schools, Pharmacy’s, Physio’s, 5 Star Resorts, Surf Life Saving Clubs, Police, just to name a few. Franchise Owner of Workout World Hoppers Crossing we are moving forward to a National Independent Owned Fitness Group. I can happily say that we have moved our business model forward in a positive expansion of customer choice to a totally Australian Owned and Operated Fitness Equipment Retailer in `Dynamic Insight Fitness` which has been operating for over 20 Years focusing on the Health and Wellbeing to Everyday Australians. We guarantee all our customers specialist advice, personalized knowledge and quality equipment and service at a great price.